Bounce. Developed and Published by Steel Wool Studios. Released November 30, 2016. 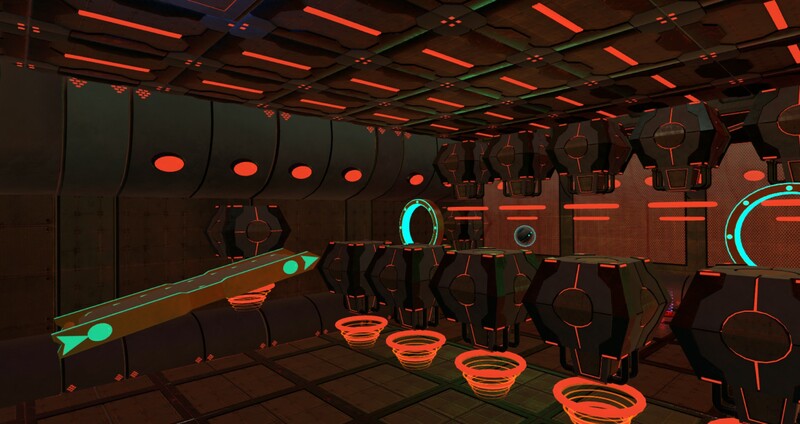 Available for HTC Vive via Steam. Review copy provided by publisher. HTC VIVE hardware provided by producer. 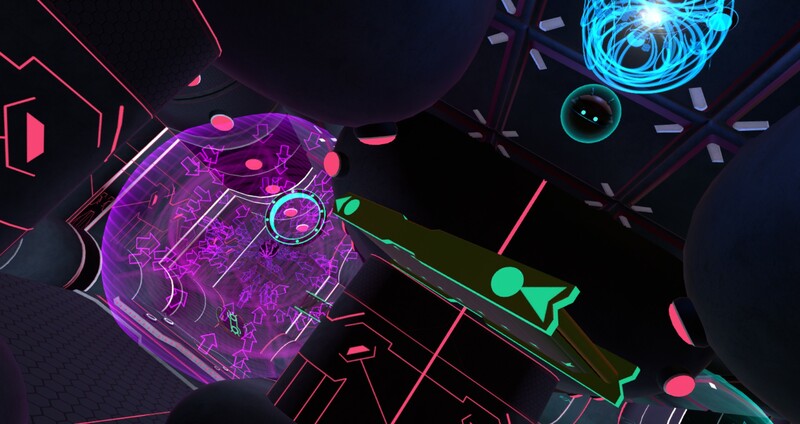 VR offerings are currently a bit too much like the early mobile games and Greenlight market, with a few shining gems drowning in a sea of mediocrity. There's a tendency to focus on a few gimmicks, which makes for a lot of hyper-similar games, as well as a lack of refinement or standards in control schemes, which is most evident in VRs most crippling (in every sense) problem; movement. I've been working my way through a lot of VR titles recently, and I finally feel like I have a good enough sense of the platform to really get into covering some of them. I wanted to start simple, though. Using VR proficiently is, I'm sure, important to the optimal experience, and I need a lot more practice. 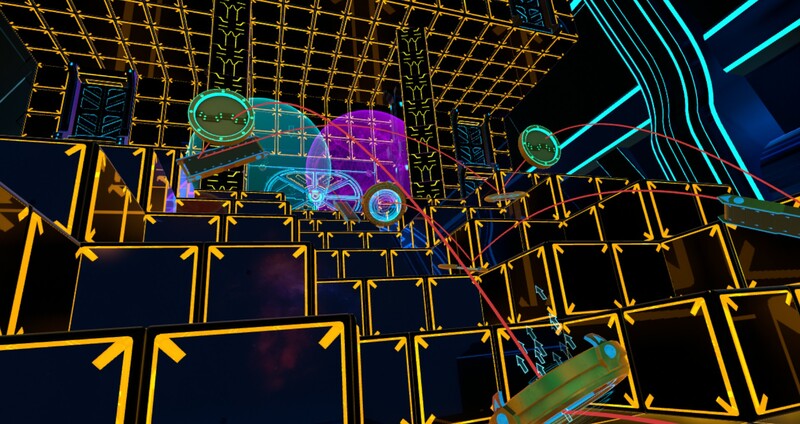 Bounce is a physics-based puzzle game from Steel Wool Studios, fresh on the VR scene as of this week. 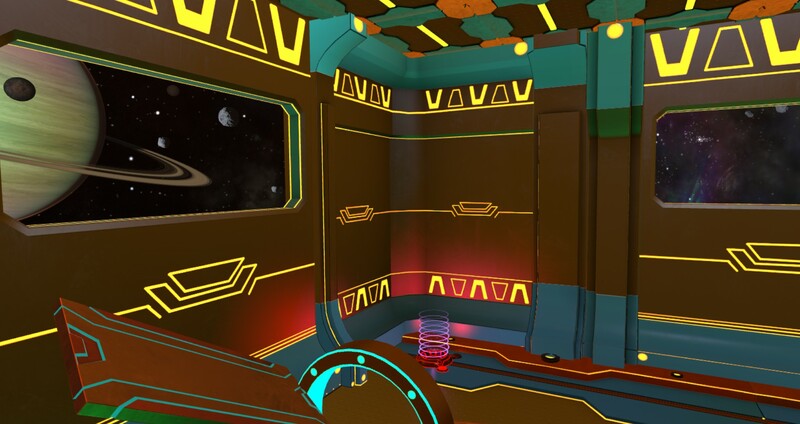 It's the only puzzler I've spent much time with in VR so far, so this is not a comparative look at the game within its genre, so much as a look at an early, accessible VR experience. 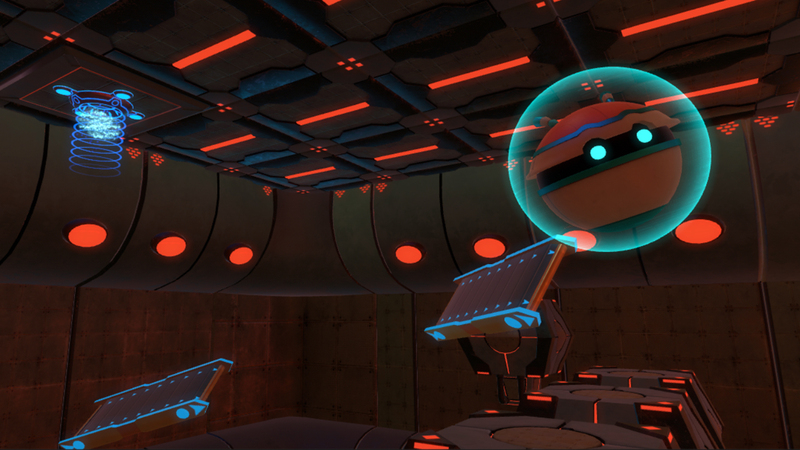 The premise of Bounce has something to do with a small, spherical robot needing to get across rooms. That's the gist of it, at least. 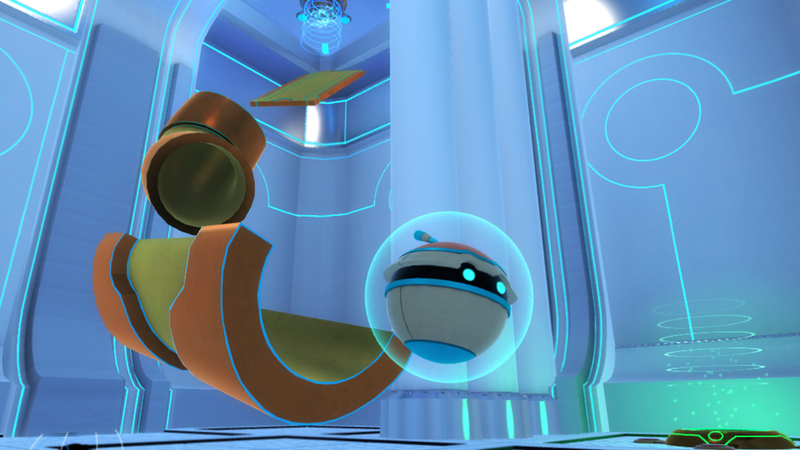 Your role is to help your robotic buddy by placing objects around the room in such a way that they'll carry the metal minion to its destination. 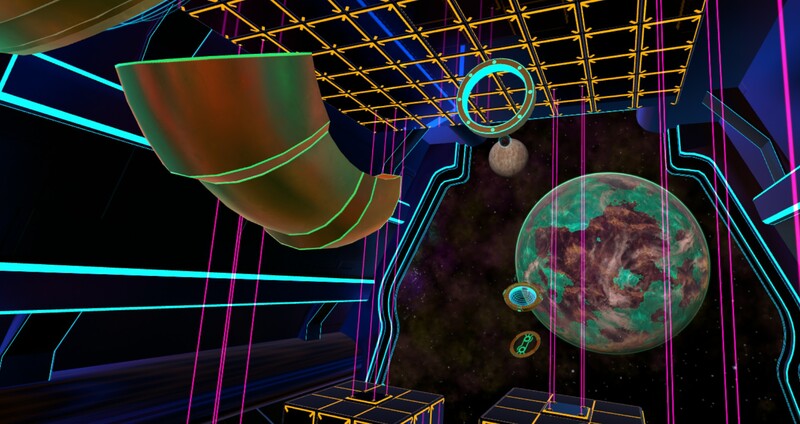 It's basically what The Incredible Machine would be in Star Trek's Holodeck. 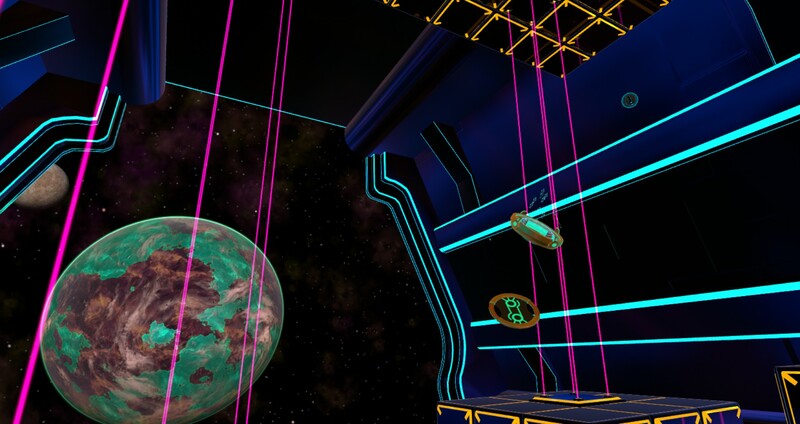 Objects like conveyer belts will give it a boost of speed, allowing you to fling your companion in new directions, while the pipes and boards will let you redirect the trajectory at just the right point, dropping your chrome compadre into its goal. As you create contraptions to guide your friendly robot (It's called D1G-B.) to his goal in the 50 puzzles, you'll be awarded stars based on how efficient your machine is. The initial focus on efficiency seems a bit odd, since experimenting seems to be at the core of the game, but there's a creative mode available after you complete all 50 puzzles that encourages less streamlined builds. I've only made it about 40 levels in, so far. Early puzzles might take just a couple of minutes, but in the 20s, you'll start hitting more difficult fare, some of which can take you 10 or more minutes. These are rare, and haven't been particularly frustrating so far. 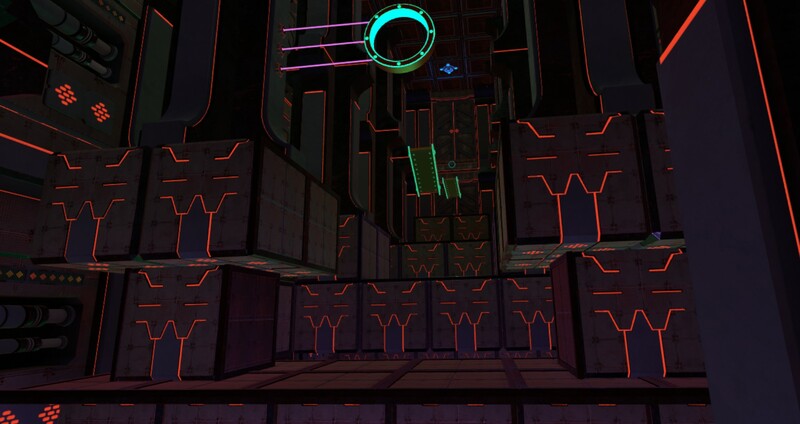 A bit further into the game, you'll start hitting puzzles with moving parts, requiring specific timing. 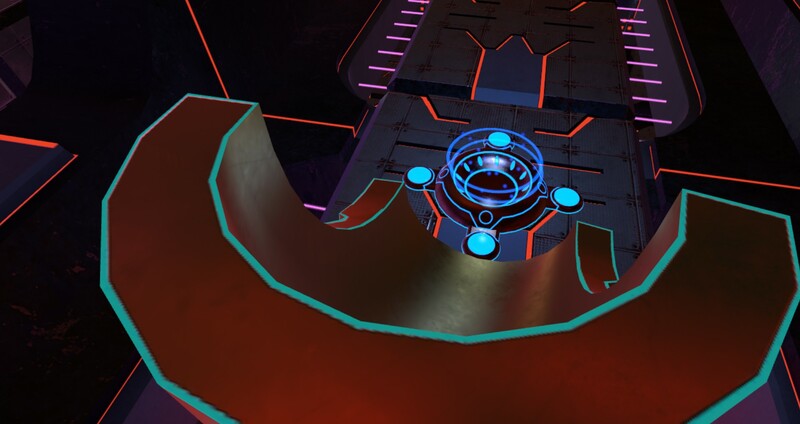 These are where the frustration can start to seep in, though it's also where the more adept players will start to find a legitimate challenge. 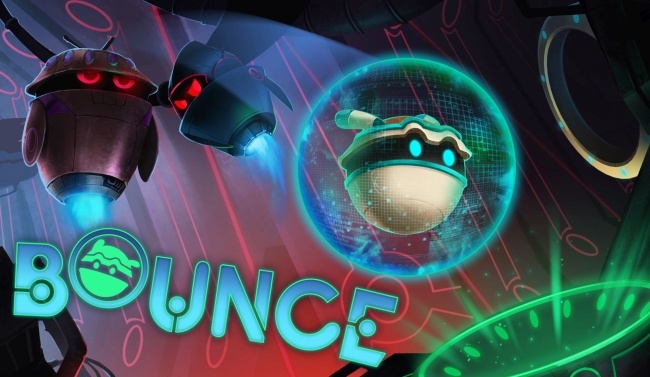 A big part of Bounce's appeal is just how well it mirrors the nascency of VR with its own accessible simplicity. 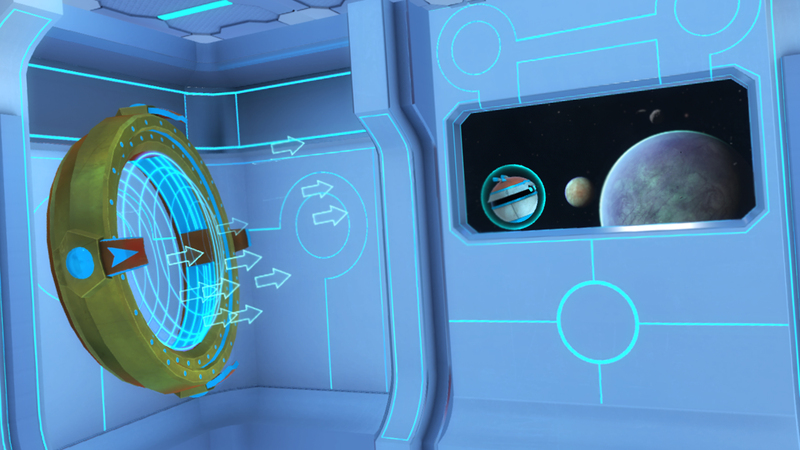 The limited mobility in the game helps to minimize the effect of VR sickness as well. 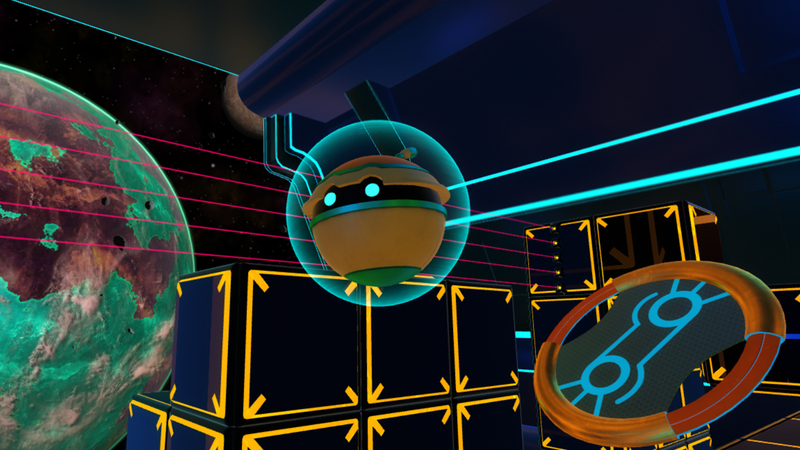 Short of unsettling motion glitches - I've still been unable to determine whether it's hardware related - Bounce is as harmless as VR titles come. In the early days of any platform, having as broad an appeal as possible is of paramount importance, and, while Bounce isn't Wii Sports, it is at least a reasonable facsimile. If you're still reeling from the hardware investment cost, they've even got demo available while you restock your coffers.